Mobile Land Surveying – …local land surveyors in Mobile, Alabama. Welcome to the MobileLandSurveying.com (T Brandon Bailey, PLS) website. This site is intended to provide you with information on Land Surveying in the Mobile, AL, and Mobile County area of Alabama. If you’re looking for a Mobile Land Surveyor, you’ve come to the right site. If your needs don’t fall into one of the above, don’t worry, we’ll get to the bottom of it. CALL Brandon Bailey, PLS TODAY at (251) 281-2081 or better yet send us a contact form request to discuss your survey needs. In addition to the four ladies pictured above, some very famous people in history have practiced surveying. Three surveyors and another guy are depicted on Mt. Rushmore (Presidents George Washington, Thomas Jefferson and Abraham Lincoln were all three surveyors, Teddy Roosevelt was not.) Others were Daniel Boone, Meriwether Lewis and William Clark (Lewis & Clark), Sir George Everest, Charles Mason & Jeremiah Dixon (of the Mason-Dixon Line fame) and author Henry David Thoreau practiced for a time in Concord, Massachusetts. For the home-owner the surveyor is the person who locates the boundary of your property and the location of your home within that boundary to determine if there are any encroachments by your neighbors onto you or vice versa. Common encroachments are fences, driveways, etc. As of 2007, newly licensed surveyors are required to have a four year degree in surveying or a closely related field and an additional four to eight years of on-the-job training under a licensed surveyor. Licensed Land Surveyors are also required to attend 15 hours of continuing education each year to maintain and update their professional knowledge and skills. In preparation for a typical lot or mortgage survey of your house, a surveyor may review tax maps, aerial maps, deeds, subdivision plats, zoning ordinances, subdivision regulations and possibly flood maps. For a typical lot survey the subdivision plat is the most important of these because it gives the exact dimensions of your lot and the relative location of your property corners. The surveyor uses this to locate and/or re-establish your property corners. In the field the survey crew will search for your property corners along with some of your neighbors corners if yours can’t be found, measure the distances and angles between all of the points, locate the improvements on your property, including your house, pool, out-buildings, retaining walls, fences, driveways and sidewalks, etc. Other improvements like sanitary sewer mains, storm drainage ways, overhead power lines and the like are located because these might indicate an easement across the property. The plat should show these, but may not in all cases. Once all of the field information is gathered, the crew chief takes the field notes and prepares a preliminary sketch of the work. This is passed along to a draftsperson who prepares the final drawing for your use. The draftsperson will check all of the maps mentioned earlier to make sure that all building setback lines and easements are shown on the drawing. The surveyed distances and directions are compared to the plat distances and directions also. Any discrepancies or encroachments are shown on the drawing. Your attorney uses the drawing to determine if any other legal work is needed during the closing. The mortgage company or bank uses the survey to insure they are loaning you money on the correct property. For more specific information about what type survey you need, please contact Brandon Bailey, PLS at (205) 281-2081 or fill in our Contact form to the right of this page. 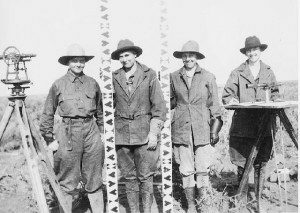 A land surveyor may not be recognized as much as a doctor or a lawyer, but no one can dispute that they play a very crucial role on Earth. As proof, several countries all over the world have unsettled land disputes over other countries. Some may have been settled through the International Court of Justice, Treaty conditions, or a claimant country’s sovereignty has been recognized. And of course, these were all settled with the help of a land surveyor. Mayotte (Africa) – Claimants are France and Comoros. France gained full control under the 2009 referendum, the population supported becoming an overseas department of France, and so became one on March 31, 2011. Ligitan and Sipadan (Asia) – Claimants are Malaysia and Indonesia. The 2002 International Court of Justice ruling awarded both islands to Malaysia, but left unsettled the maritime boundary immediately southwest and west of the islands between Malaysia and Indonesia. Eastern coast of Narva and Petseri County (Europe) – Claimants are Russia and Estonia.Russia recognized them as a part of Estonia with Treaty of Tartu, 1920. After the fall of the Soviet Union, Russia continued administering it. Tuzla Island and Strait of Kerch; Sarych (Europe) – Claimants are Ukraine and Russia. The conflict arose in 2003 when the Russian authorities started to build a dam towards the island. Since then Ukraine established a border garrison on the island for a closer surveillance. The reason for the conflict is the fact that Tuzla island strategic location gives Ukraine full rights over the main channel in the Strait of Kerch and, thus, the access to the Sea of Azov. San Andrés and Providencia (Central America/Caribbean) – Claimants are Colombia and Nicaragua. Colombia currently has full control because Honduras de facto recognises Colombian claim. Los Monjes Archipelago (South America) – Claimants are Venezuela and Colombia. Velenzuela gains full control because Colombia no longer claims the islands, only the surrounding waters. A piece of parcel is something that signifies power and resources thus many countries fight over it. 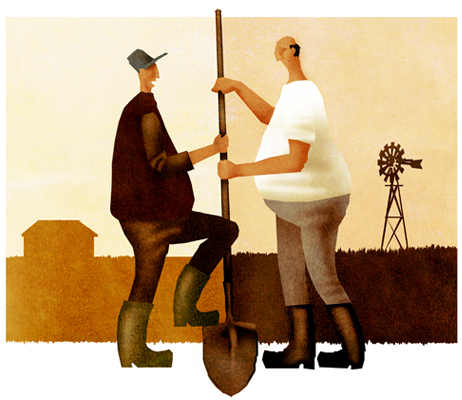 If big countries have unsettled disputes over a piece of land, small land disputes also happen between siblings, husband and wife, and neighbors. Though you can’t hire a land surveyor from an International Court to settle your small land disputes, you can always hire a local land surveyor who can survey your property and resolve any encroachment claims and/or equally divide a property as mandated by law. A land surveyor plays a very vital role in settling land disputes, big or small. If you are in a situation that you may need the expertise of a land surveyor, please contact Brandon Bailey, PLS at (205) 281-2081 or fill in our Contact form to the right of this page.